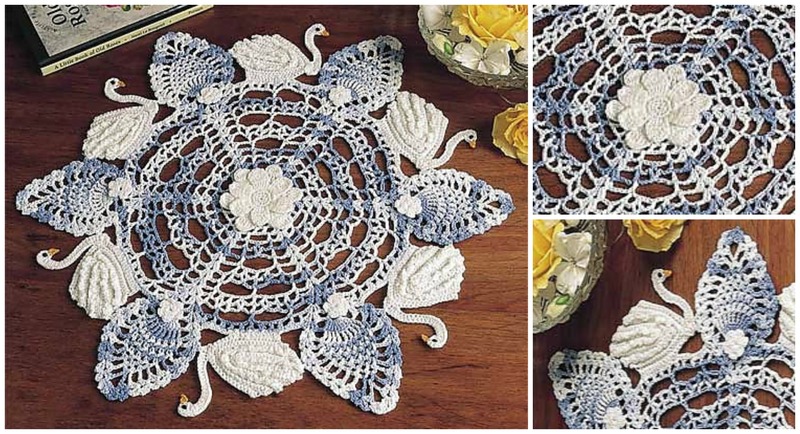 Here today we have another beautiful doily on swans theme. As in different post there are white swans on pictures, but in other position and there are more swans than before. We think it looks beautiful and will make your table or chest. If you have some free time for your favorite work or hobby you can use free pattern that we have found on interesting blog. Free pattern is by Maggie Petsch Chazalow and thanks to author. Design as you can see for this doily is brilliant. It’s really very enjoyable. You can call your friends and start crocheting together. Choose any colors and with free patterns we have searched for you, you can make many beautiful things for home decoration and save money.